Ive kept goldens for about 3 yrs now. Id reccomend at least a 10gal for each golden, they'll get up to 8 inches. Easy to care for, feed about 5 times a week 6 crickets, uv light, under tank heater, basking light and mist daily to keep up humidity. Cant get much easier then that. 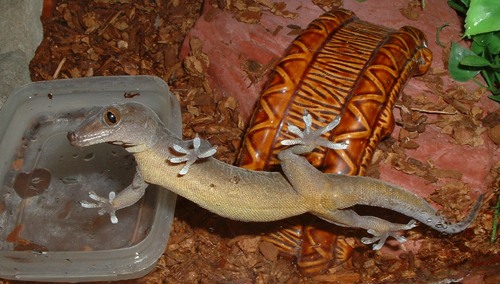 Anoles are nice too, similar care to the goldens.